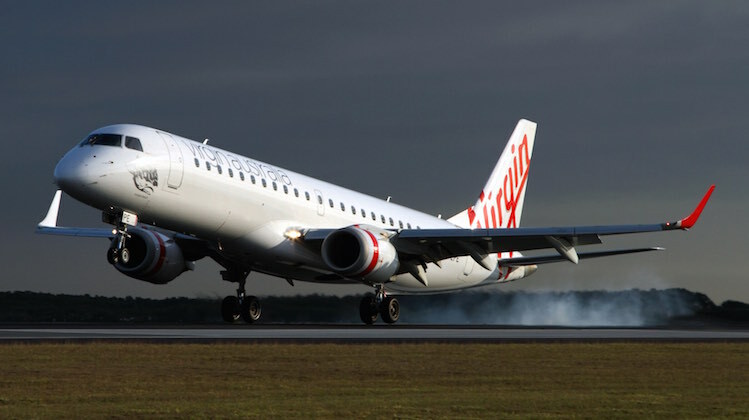 Virgin Australia says it plans to work its fleet harder in calendar 2016 after announcing the withdrawal of five Embraer E190s, as the airline group reaffirmed a return to profitability for the full 2015/16 financial year. The 98-seat E190 fleet will be reduced to 13, from 18 currently, by September 2016, Virgin said in its 2015/16 first half financial results on Thursday. The E190 disposals would be covered through increased utilisation of the airline’s Boeing 737-800 fleet, Virgin said. Virgin also announced it would sell its six Embraer E170s which were currently sub-leased to alliance partner Delta Air Lines. 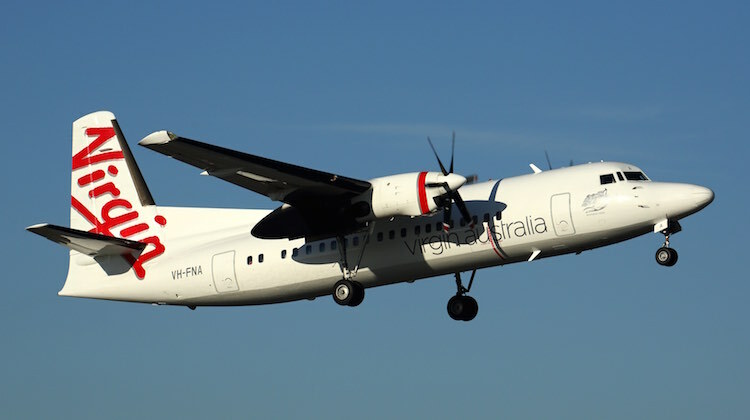 And the company said Virgin Australia Regional Airlines’ (VARA) Fokker 50s, which the airline put up for sale in October 2015, will be gone by the end of 2015/16. The fleet optimisation initiatives were part of the airline group’s cost reduction program, as well helping pay down debt and improve fleet utilisation, Virgin said. The airline is targeting $1.2 billion in cumulative cost savings by the end of 2016/17. The company has also brought back in-house line maintenance of its ATR turboprops and signed a new engine maintenance contract with Delta Air Lines for the 737 fleet. As previously disclosed in its second quarter financial results, Virgin posted a welcome return to the black in the six months to December 31 2015 with net profit coming in at $62.5 million, compared with a $47.8 million statutory net loss in the prior corresponding period. Virgin said it was the strongest net profit result since the first half of 2009/10. Underlying profit before tax, which removes one-off items and was the airline’s preferred indicator of financial performance, rose to $81.5 million in the half, compared with $10.2 million a year ago. 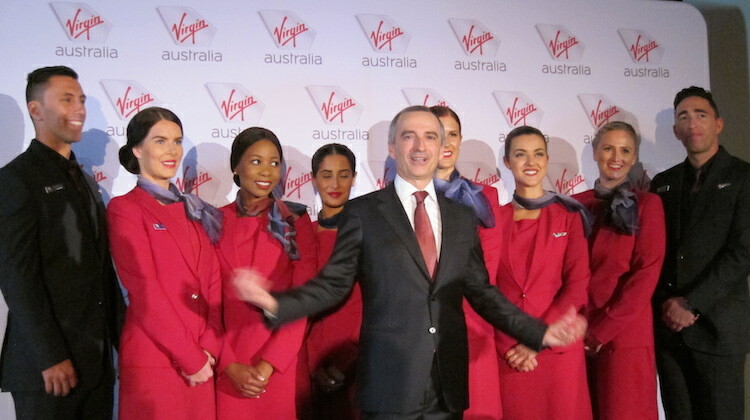 Virgin’s domestic operations, Tigerair Australia and Velocity frequent flyer program all made a positive contribution to the overall result. And while Virgin’s international flying continued to remain a loss-making part of the business, its financial results did improve from the prior corresponding half and would have been better had it not been for the disruptions caused by the Bali ash cloud. “Virgin Australia Group saw a benefit of approximately $105.9 million from the decline in oil prices in comparison to the first half of the 2015 financial year, due to the nature of the hedging program in place. This was largely offset by a $72.1 million adverse non-fuel foreign exchange cost impact,” Virgin said. 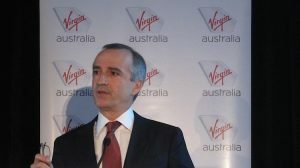 Virgin Australia chief executive John Borghetti said the company was on track for a full year profit, without offering specific earnings guidance. “The Group’s operational and financial performance continues to show strong momentum across all business units. The Group is improving its revenue and customer offering in all segments of the aviation market. At the same time, the Group is maintaining strict cost discipline while optimising the balance sheet,” Borghetti said in a statement. Virgin’s domestic business posted underlying earnings before interest and tax (EBIT) of $130 million for the half, up strongly from $69.7 million in the prior corresponding period. Revenue per available seat kilometre (RASK) rose 7.1 per cent, while yields were up 9.1 per cent in the half, Virgin said. “The group is on track to meet its target of 30 per cent of domestic revenue from corporate and government travellers by the end of the 2017 financial year,” Borghetti said. Meanwhile, the turnaround at its wholly-owned low-cost unit Tigerair continued in the 2015/16 first half, with the airline posting positive underlying EBIT of $13.9 million, compared with a $24.8 million underlying EBIT loss a year earlier. It was Tigerair’s highest half year underlying EBIT, Virgin said, while RASK and yields were also up strongly, rising 9.2 per cent and 12 per cent, respectively. “The success of the Tigerair Australia turnaround continues to build momentum,” Borghetti said. On the international front, Virgin’s overseas flying suffered a $30.8 million underlying EBIT loss in the half, up from a loss of $39.5 million previously. Virgin said the disruption from the Bali ash cloud events cost $19.2 million. The airline’s previously announced initiatives, including increasing seats on trans-Tasman routes, handing over flights to Bali from Melbourne, Adelaide and Perth over to Tigerair, withdrawing from the Perth-Phuket route and reconfiguring of its five Boeing 777-300ERs with a new business class seat and refreshed premium economy cabin would support the turnaround efforts on its international network. Virgin has forecast its international flying will be profitable by 2016/17. And Velocity has grown its membership base to 5.7 million by December 31 2015, with an average of 2,595 members a day joining the frequent flyer program. Revenue from Velocity rose by $32.2 million to $154.8 million, while underlying EBIT improved to $70.8 million, from $45.2 million. There was also a good news on the cargo front. Virgin said it had signed a heads of agreement with TNT for a five-year exclusive deal with its newly formed cargo division. The final contract, although subject to further discussions, is expected to be in place by the start of the 2016/17 financial year on July 1. “They will be, when we conclude the deal, they will be the biggest customer,” Borghetti said. What’s your source on this information? Are they having a total reduction of aircraft or are they getting replacement with a different type? Where did you hear that MicK? Maybe the B777 is for sale and is to be leased back? The E190 Aircraft will still remain a part of the VOZ fleet for quite some time as they are an efficient aircraft. The Boeing 777-300ER’s are not being sold, stat. The optimisation of the fleet is to decrease the running and operating costs andto increase the Revenue per Seat Kilometer and to increase the net revenue in total across all aircraft. IMO, I believe a reduction in the ATR fleet would increase profits as the ATR’s continue to break down constantly. I have only been on the E190’s Adelaide-Brisbane return in 2008 but great planes.I love the four across no middle seats unlike the competition with the 737 over at Qantas that insist on the six across configuration in Economy.I hope they keep a few.It would be boring if they disappeared for good and we were back to the era when it was a mix of DC9,727 LATER 737’s and A320’s on the sectors that did not always need a wide body. A little bird told me they’re going to Aeromexico, but don’t quote me. Smart move selling the 2nd most reliable machine in the fleet and replacing it with 180 seat one on 80 passenger sectors. It would be a tragedy to see a total withdrawal of the E Jets. At the times that I travel, which is not often, I will always choose to travel on the E Jet in preference to the B737. I enjoy the more intimate cabin environment that the smaller aircraft offers, more room and a quieter ride. EJETS are coming up 10years an the 737-max’s have a cheaper running costs with greater capacity. You’d think the 737-9/max similar to the American transon a321 would work and be cheaper for the business aside from the a330 being more med/longhaul designed. Same products offered just smaller size. I am surprised on no real developments on the future fleet growth plans aside the maxs already ordered. Meanwhile in WA , Withdrawing from regional services. Old F100 and A320 and still charging top dollar. The takeover of SkyWest has been a Virgin fail! My information is not incorrect. VA are in a very serious situation financially and key personal are burying their heads in the sand. The before tax profile means absolutely nothing with the amount of debt the company currently has. For the last few years VA have been liquidating assets. Airline shares, tapped USA debt market twice, sold head office, sold Virgin tec hanger, sold spare parts, sold 35% of verlocity FF, serious operational cost cutting (which isn’t always a bad thing) and now some of the VA own aircraft. Plans are also currently in place to sell and lease back a large number va owned 737’s and with no growth currently planned for the airline. Likely only purchaser of surplus 777-300 are Air NZ – given Virgin are reconfiguring all 5 – can Mick update his source? I recently flew on VA Fokker F100 Perth to Broome return. One interior was brand new and one still had an old brass ships clock on the bulkhead. Both planes are 25 years old. No VA services are available on board except the sandwich and tea. It’s a 2 hour 30 minute flight. My point is that VA risk having future unreliability with these ageing planes and yet they are disposing of the newer and better E190’s. WHY? F100’s are cheap to buy but for a reason. They are not efficient compared to modern equipment like the Ejets. With E190’s already in service and crewed, why would VA use these to advantage over Qantas? Is WA not deserving of the Virgin experience? Much prefer the 737′-800 Bne to Melb and back. Flew E190 one way once seemed to jump around in the air more than the Boeing. But I’m no expert on planes and the different types- just my opinion from limited experience. @Franz Chong. Please provide examples of airlines who don’t have a 3-3 economy on their B737. You state Qantas insist on 3-3 but don’t virgin also have 3-3? @ Mick. The financial situation at Virgin would be nothing new. My understanding is that Virgin Blue were on their last legs but only survived because Ansett went bust first. In recent times I think what is quite telling is that the airline partners had to provide additional funding so Mick what ever your source is I think you are right. You can’t say things are all ok if on a domestic front where you compete head to head with Qantas and say only profit 130 mill EBIT for 6 months. But what is the Qantas comparison. We will soon find out. Another Question is – if the cost base of Virgin is so much lower and only flying limited international sectors, why is it losing money? I’ll realy miss flying on the E190 but if virgin do deside to get rid of the E190s I hope they give them to Alliance and or Cobham ( if they don’t give them to me >:) ). Personally, despite the in’s and out’s of the viability of whatever aircraft, just recently I was ‘unfortunate’ enough to have to travel to the States on Virgin International. This is my second short notice trip that I have had to fly with them. The cabin attendants were absolutely offensively awful. That has put me off flying with them ever again. Virgin Australia are nuts getting rid of E190s. What they would be better to do is dispose of the F100s in VARA and transfer 5 of the E190s to the VARA Operation and piss the F100s off. The F100s are an ageing aircraft. You serious dude? I flew on VA to America and they were bloody fantastic? I loved the seatback entertainment the food the cabin attendants. It was an awesome flight.